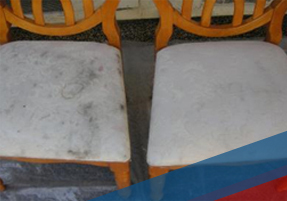 Services: Upholstery Cleaning | Fosters – Scottsdale Carpet Cleaning With Valley Wide Service! As part of our full range of cleaning services, Fosters Carpet Care & Repair offers upholstery cleaning for most fabric types, including cotton and Haitian Cotton (excluding leather). Upon inspection of your upholstery, we will determine which cleaning method works best for you. We offer a dry clean method for fabrics that tend to brown out or an extraction method which includes a pretreatment of all sitting areas. Years of dirt, oils, spills, and dead skin can turn your couches, chairs, and other upholstered items into an unpleasant mess. Give our friendly staff a call or contact us online to get your furniture “Foster” clean!